UPDATED: APR 5, 2019 Can. Hazy golden body, medium white head with good retention and some lacing. Aroma of wet grains, hard-boiled egg, caramel and hints of coriander. Taste of grains, overripe banana and hints of coriander. Not totally terrible. Can from the Bodega enjoyed out of a mason jar in my hotel room. Hazy deep yellow in color with a decent bubbly white head that persists. Bready sweet light honey maltiness with bits of floral earth and light lemony spice. Decent enough beer if not a bit pedestrian. Tried this one on tap today for lunch at the Royal oak, with excellent food. I thought it was a nice witbier. Canned. Half hazy yellow with an uneven white head. The aroma has hops and grapefruit. The taste is fresh but bland. on tap at the bier market. indefinable even though some pineapple flavour contained. Bière blanche, robe opaque et trouble dû au fait qu’elle n’est pas filtrée. Collet presque absent et peu d’effervescence. Au nez, on sent bien les agrumes et la coriandre. Légère amertume, goût relativement doux. 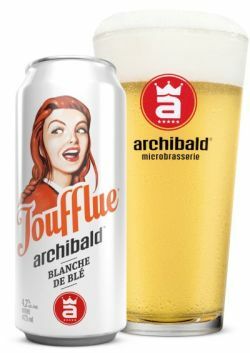 Belle bière pour s’initier à la micro. Cloudy straw color with moderate activity. Extra foamy 3 finger white head, lasting around 10-15 minutes, making a good amount of lacing. Flavors of lemon, coriander, sweet grains, faint corn and noble spices. Sugary feel, low sharpness. Thick oily full body with prickly carbonation. Light finish that lingers feels of citrus, faint clove and yeast. Overall a little above average quality stuff. The flavors are decent, but way too faint, and needs more zest. The body is too oily, a little flat, and lacking some freshness. Pours a clear golden color with a sticky white head. Nose of oranges, citrus, coriander, tangerine. Taste is medium sweetness. No real bitter finish. Body is medium a bit watery. Medium carbonation. It’s alright for a lighter beer.